'Universitas Cantat' is an international choral celebration. Since 1998, it has been gathering young people from various universities - people who are musically talented, active and open to new friendships and to exchange of cultural experience - in Poznań (at the beginning every year and since 2003 - every two years). During the previous ten editions, the public had the chance to admire almost 100 choirs from 26 countries, including such distant parts of the world as Mexico or Ecuador. 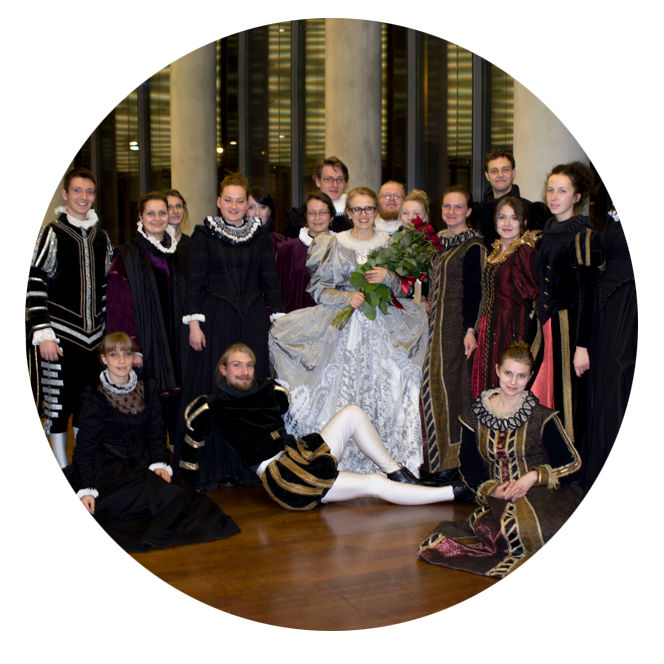 Since the beginning of existence of the event, its organisation has been handled by Adam Mickiewicz University in Poznań, AMU Chamber Choir and AMU Chamber Choir Association. The role of Professor Krzysztof Szydzisz - a choirmaster, a musicologist, a voice-building specialist, a speech therapist, a culture manager and since the very beginning - the director of 'Universitas Cantat' and Joanna Piech-Sławecka - an oboist, a choirmaster, a speech therapist and the vice-director of the festival, is invaluable. The festival concerts are held in various concert halls in Wielkopolska, mainly in the Assembly Hall of Adam Mickiewicz University which is famous for excellent acoustics. The choirs prepare inter alia the compositions promoting native music of the particular countries. At the end of the festival, all participants jointly perform a composition of a contemporary living composer. A symphonic orchestra usually accompanies them in this venture. Within the final concerts, the following compositions were performed: in 1998 - Litania ad Spiritus Sanctum by Zbigniew Kozub, in 1999 - Angelus by Wojciech Kilar, in 2000 - Beati Estis by Zbigniew Kozub, in 2001 - Ad Iuventatem by Marek Jasiński, in 2002 - Nihil homine Mirabilius symphony by Krzesimir Dębski, w 2003 r. - Ver Redit 2nd symphony by Krzesimir Dębski, in 2005 - Festinemus amare homines symphony by Paweł Łukaszewski, in 2007 - Raptus Europae by Marek Jasiński, in 2009 - Exegi monumentum aere perennius by Romuald Twardowski, in 2011 - Amor vincit by Miłosz Bembinow, in 2013 Origo Mundi by Jacek Sykulski, in 2015 Arion by Zuzanna Koziej and 2017 Amor et Psyche by Miłosz Bembinow. 'Universitas Cantat' festival (and a large group of volunteers working on each of its editions) is the proof for the fact that the musical fascinations in the scope of choral art are an universal issue. The meetings of young people lead to establishment of new acquaintances and the multiculturalism is the inspiration for the listeners. The nearest XIV Festival will be held on May, 6-12, 2019, and the fifteenth (anniversary) Universitas Cantat will be held on May, 19-22, 2021.